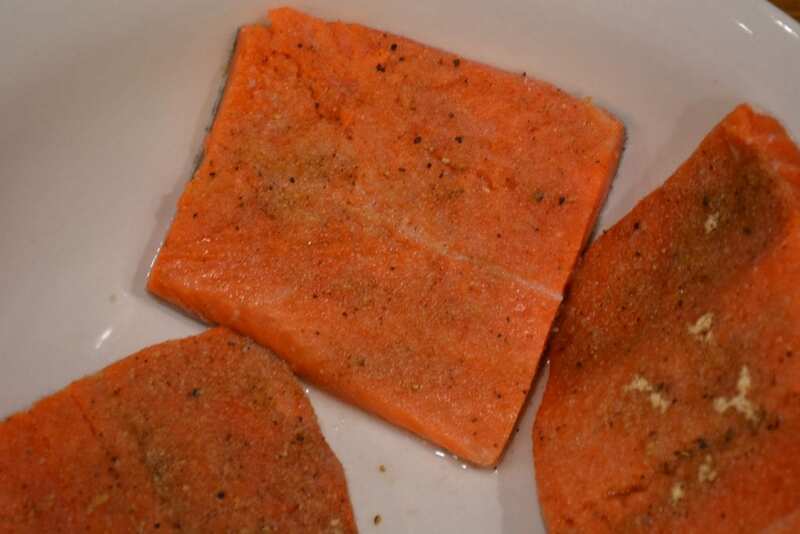 Thaw frozen salmon in cold water or rinse fresh salmon. Pat dry. Sprinkle fleshy side with 1 tablespoon lemon juice. In a small bowl, mix together the garlic powder, onion powder, salt and pepper. 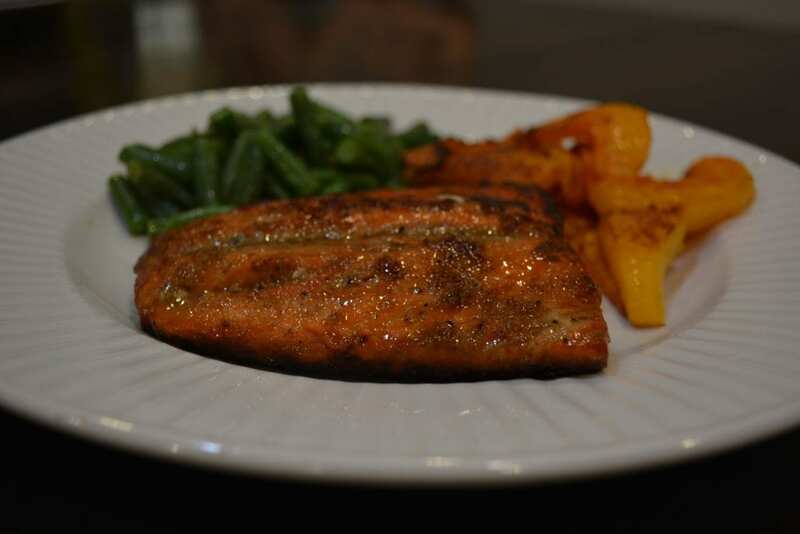 Drizzle 1 tablespoon avocado oil over the salmon and sprinkle the fleshy side with the spices. Place in refrigerator 30 to 60 minutes. Heat up a large skillet over medium heat until hot. Drizzle with remaining avocado oil. 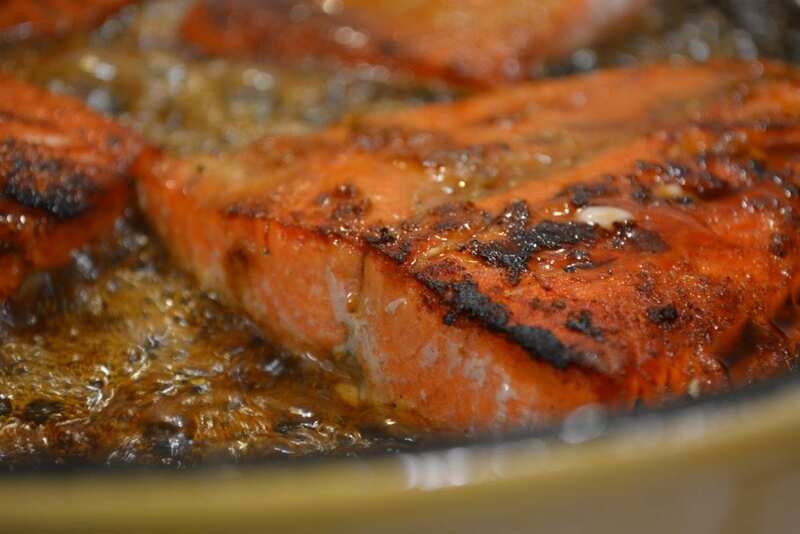 Place salmon fleshy side down and cook 5 minutes until a nice caramel color begins to form. Flip and cook 5 minutes on the skin side. In a small bowl, mix together the coconut aminos and the maple syrup. 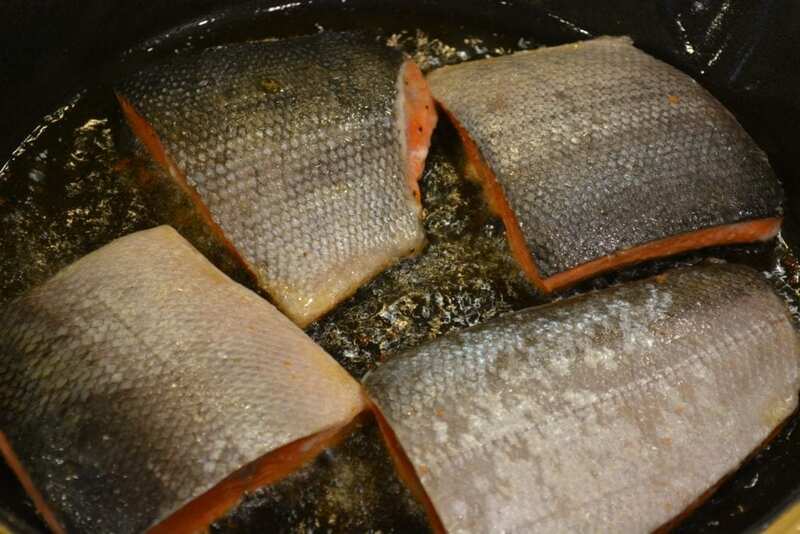 Right before salmon is finished cooking, pour the glaze over the salmon. Remove from skillet and serve.